$50 or Less! Summer Spa On the Cheap! Here are 30 of our picks for summer pampering and preening that won’t leave your wallet feeling picked. Click here to see if there's a spa near you! Thank you 365CheapDates for the headsup! There's practically one every month through summer. June 25-27: Irvine Greek Fest, $3 except free on Saturday Noon-5 PM or print their Facebook coupon for free admission. July 9-11: South Bay Greek Festival in Redondo Beach, $2 but a coupon for free admission will be coming soon. Labor Day Weekend (to be confirmed): Long Beach Greek Fest, $3 but a coupon for free admission may be available later on the website. Sept 10-12: LA Greek Fest, $3 (day) or $5 (evening) but sometimes it's free on Fridays and watch out for a coupon in the future. For a complete list of Greek Festivals between LA and OC, check out GoLosAngeles.com. I personally would try the AYCE at dinner time, when you're not pressured to get back to work. Farrell’s Ice Cream Parlour is holding its first ice cream eating contest July 18 — coinciding with National Ice Cream Day. Qualifying rounds will be held this week, June 21-25, at locations in Mission Viejo and Santa Clarita. Contestants will be timed while eating a three-scoop sundae. The restaurants are holding contests in two categories: individual and group (4-person). The top fastest competitors in each category will go to the finals July 18. Individual contestants will be timed on how fast they eat the chain’s signature “Pig’s Trough,” while groups will be forced to tackle the Farrell’s Zoo. The latter is a 30-scoop bowl of ice cream that is delivered to your table via a stretcher while a siren blares in the background. Trials will be held daily during restaurant hours. Going out during the week is not as busy as the weekend. Ok, that's a no brainer and that is why merchants try to lure you outside the home with mid week specials. Check out these great mid week specials! Cheap movies almost every day - $3 or lower! Watch THE CHICKEN RUN for free on June 26 and geta free Chick Fil A sandwich! Here's how: Follow the Orange County Great Park and Chick-fil-A at Woodbury Town Center on Twitter to get a free chicken sandwich* before the movie starts at 8:00 p.m. on Saturday, June 26! Step 1: Sign-up or sign-in to Twitter. Step 2: Follow BOTH @ocgreatpark and @woodburycfa by 11:59 p.m., Wednesday, June 23, 2010 (deadline) and your RSVP will be automatically received. Existing Followers: If you are already following both accounts, your spot will be automatically reserved. Step 3: Tweetup! Meet at the Orange County Great Park at 6:30 p.m. on Saturday, June 26 to check-in for your sandwich. Enjoy the company of your fellow tweeps before settling in to the feature presentation! *Limited quantity, while supplies last. Limit (1) free chicken sandwich per Twitter user. Offer non-transferrable or valid with any other offer. Questions about this promotion? Please DM us at @ocgreatpark. HELP IRVINE'S ANIMALS by eating out at the Elephant Bar in Irvine. Must present flyer to help this cause. Its not the best Frugal Find out there, but its still free! Buy any 2 Nivea Visage products and get a free cosmetic bag ($7 value) at drugstore.com. 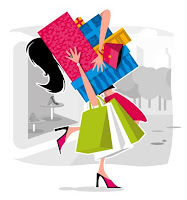 1) Select the product(s) you want by checking the Add To Bag box. Click this link to get the offer. 50 healthy foods for under $1 a pound. As a Frugal Finder, I found this article on Yahoo! rather interesting. I'll post most of the article below, and if you are interested in reading the whole thing, click here. If you are what you eat, then I should weigh-in at under $1 a pound.That's because, as a general rule of thumb, I try to only buy foodstuffs that costs under a buck per pound. Under $1 a pound, year-round -- that's my grocery shopping mantra. It's not just because I'm a world-class penny-pincher and smart shopper; believe it or not, it's also about eating healthier. When you look at the USDA's "food pyramid," many of the things we should be eating the most of -- grains, legumes, fruits, and vegetables -- happen to cost the least. It's often the stuff that's bad for us (at least in large quantities) like red meat, fatty dairy products, and processed foods high in trans saturated fats, that cost the most, on a per pound basis. Click here to sign up for a free pedometer. Limit one per household. Join Hollywood & Highland Center and KJAZZ 88.1 FM for the 7th annual Wine, Jazz & Moonlight series. Enjoy free concerts by some of the country’s top jazz performers every Tuesday from 7 to 9pm in the Central Courtyard on level 2. Parking is $2.00 (up to 4 hours) with validation. The event is FREE to the public and a wine tasting donation of $10 to Project Angel Food gets you two glasses of wine and an assortment of gourmet cheeses, crackers and fruit to enjoy during the performance. Seating is limited, so show up early and use your Hollywood & Highland Center Elephant Card to enjoy discounts at retailers and restaurants throughout the Center. Click here for a listing of performers. One day deal! $25 for $50 Worth of Fresh Sashimi, Oysters, and More at Ocean's Sushi and Oyster Bar. For $25, you can enjoy $50 worth of fresh sashimi, oysters, alcohol, and more at Ocean's Sushi and Oyster Bar in Huntington Beach. Their menu includes fresh sashimi, sushi, and hand rolls, along with seven different types of succulent oysters. Fine print: Not valid with any other offers or promotions. Not valid on happy hour items. Limit 1 Perk per party of 2 to 5 people. Limit 2 Perks per party of 6 or more. May buy multiples as gifts. Valid on alcohol and lunch special items. Perk doesn't include tip or tax. For the month of June, Hakata Ramen Shinsengumi is offering lunch specials. At Hakata Ramen, you can customize your bowl of ramen. You tell them how hard/soft you want your noodles, how heavy you want your broth, and how much soup oil. Each bowl of noodles comes with thinly sliced, tender chashu pork, ginger and onions, but you can also can customize the toppings by adding more meat, seaweed, corn, egg, etc. Click here for their web site, and other locations. Taco Tuesdays at Tustin Ranch! Get tacos for a buck starting at 4:00 pm. LA FILM FESTIVAL (June 17-27), some shows are free! Some movies are free, but most start at $5, and are high as $25.. but regardless which one you pick, its a great way to check out new and classic films. Click here for more information on the various movies. And click here for the free showings. Pee Wee/ Paul Reubens fans! Click here for 2 events.. one with Mr. Reubens, and a matinee of Pee Wee's Big Adventure! The LA Times is providing free parking. 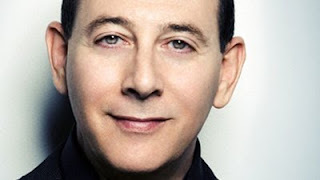 Paul Reubens is best known for his character, Pee-wee Herman, which he created while a member of the famed Los Angeles improv group, The Groundlings.